In 2014, I helped out with a United Way Day of Caring project. 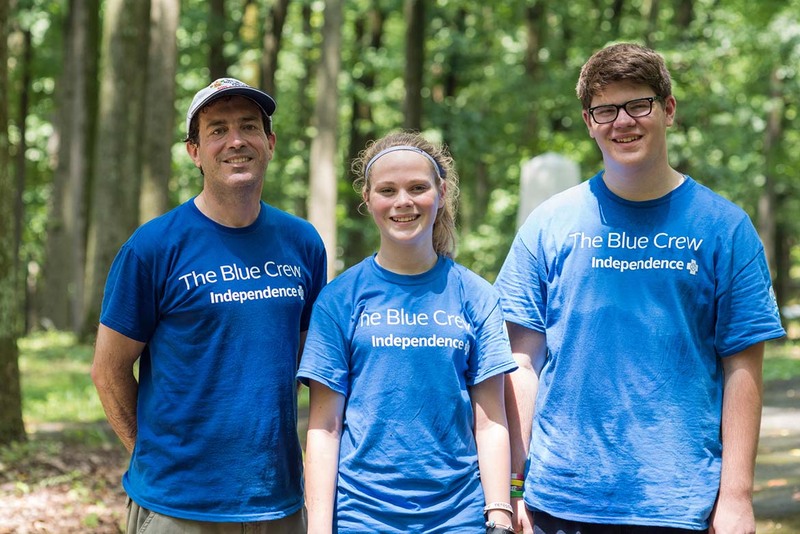 I also learned that the Blue Crew supports personal volunteer efforts in addition to opportunities sponsored by Independence. I volunteer as a Special Olympics basketball referee, as a volunteer coordinator for fundraising at my son’s high school, and at one of the horse shows at the Devon Show Grounds. 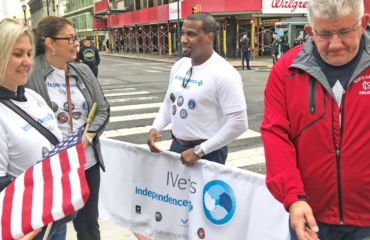 I recently started helping out with Philly Reads with the Blue Crew right at the Independence headquarters. We are in the business of making other people’s lives better… the Blue Crew gives us an opportunity to have a direct impact on the community. Ronald McDonald House, St. John’s Hospice, Project HOME, Philly Reads — they are all chances for [associates] to work together and help people directly. About ten years ago, a friend invited me to go down to help with the rebuilding effort in New Orleans after [Hurricane] Katrina. While I was there, I learned that many organizations have the money and materials they need to accomplish their goals. What they often need is people with skills to turn those resources into outcomes. Now, I look around for problems that I have the specific skills to solve. When I see one, I try to help out, because in my past I’ve benefited from the kindness of people who chose to do what they could for a complete stranger. Katrina. Little sleep. Installing copper plumbing for 16 hours a day. Mosquitoes. The heat and humidity that is New Orleans. Wearing out two pairs of jeans. I’d go back tomorrow. Reffing basketball. I’ll ref any ten people anywhere, anytime. My whistle is always in my pocket.